Francesco “Frank” DeDona, age 69, of West Haven passed away at home on July 26, 2018 with his family at his side. Frank was born in Sepino, Italy, son of the late Armando and Teresa Grieco DeDona. He is survived by his children Dina DeDona and her husband Paul Alger of West Haven, Maria DeDona-Marinaro of CA and Armando DeDona and his wife Jessica of RI, his beloved granddaughter Julia Marinaro, his sister Margherite Ficocelli of Canada, and his brothers Antonio “Tony” DeDona and his wife Iva of North Haven and Carmen DeDona and his wife Pamela of East Haven. He leaves many nieces and nephews who loved him very much. Frank was a giving person, who was always willing to help out anyone in need. He enjoyed cooking and would make plenty of extra food to share with friends. Frank was a self-employed mason for many years and was also a member of BAC Local Union #1. Family and friend may gather at the West Haven Funeral Home at the Green on Tuesday, starting at 4pm. A celebration of his life will start at 6pm at the funeral home. Interment will be private. 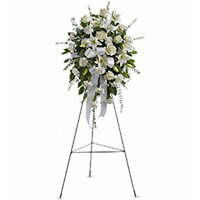 For online condolences please visit our website at www.westhavenfuneral.com. In memory of our beloved uncle. Frank was a very big part of my life for many years. I loved that man very much and always will. I just feel bad things ended up with out me getting to really tell him. I'm sure in his heart he knows that though. Dina ,Maria & Armando & Julia my thoughts and prayers are with you now more than ever. Just remember dad is with your every step and always in your heart. He loved you so much. Love you guys. Missing you Frank. You were the patriarch of the DeDona family. We always knew we could count on you if we needed anything. Missing your visits, bringing us something good that you cooked, miss your smile and that twinkle in your eye, miss teasing you all the time :). You were a family man and even when you were sick you said "Family is a gift." "where would i be now without family" We were glad we could be there for you, God knows you DESERVED that. Thank you for all the work you did for us over the years with those skilled hands of yours. Fireplace, brick patios, so many tile jobs i lost count, decks etc, those hands helped beautify our life. You were honest, kind, generous and a true gentleman. We will MISS you so much. LOVE you! RIP Franco.